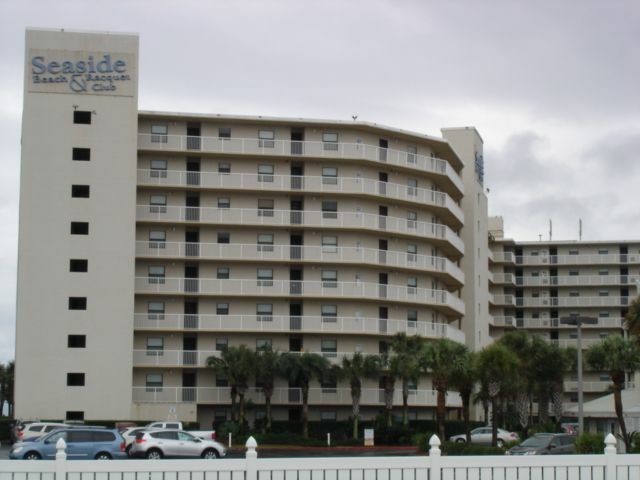 Seaside Beach and Racquet Club is one of the largest complexes in Orange Beach. The complex has 2 outdoor pools, indoor pool, exercise room, 2 tennis courts, grill area with picnic tables and a shuffle board play area. 3, 9 story beach facing buildings and 2, 3 story tennis villas facing the tennis courts round out this large complex with plenty of parking and a security gate guard on duty 3:00 pm to 6:00 am. They have been repairing and working on all the balcony&#x2019;s seecue we checked in on Jan. First. very noirsy. Can not use our balcony half the time. They start at 8:00am every day including sat. I understand they started this work in October. Seams like a long time. It was ok but nouthen great. Grandkids loved it. Good beach and pool. Good location. Easy access. Housekeeping subpar. Sandy floors, light bulbs out. Commode stopped up. Management fixed, but still took the shine off of a great vacation. Upgraded unit, clean with nice view of pool and the ocean.